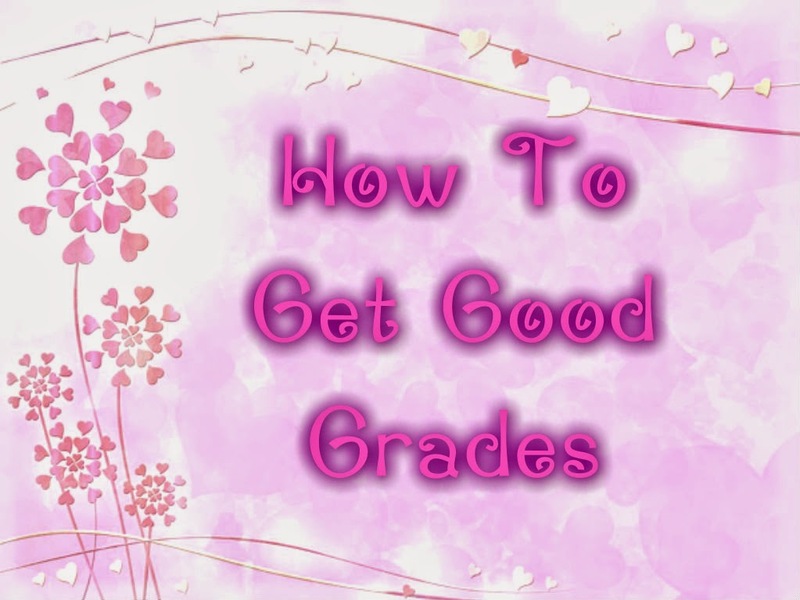 LivingWhimsicalDreams: How to get good grades! The new school year is in full force now. Most of us have started school within the past month and the work is already piling up and stress is reigning. I always strive to get the best grades that I can and over my 13+ years of school, I've found some tips and tricks that have helped me. I cannot stress enough how important it is to keep a planner or calendar of some sort whether paper or electronic to help keep track of assignments, tests, dues dates and activities. I could not live without mine. I use a paper planner from Target that I write all of my assignments that I need to do in the weekly section along with due dates, tests, work schedule, and club meetings. In the month view I only keep due dates, tests, and club meetings so I can glance and see the most important things coming up. Without this I would probably miss meetings and forget about my tests and homework and I would be completely and utterly stressed…then probably fail. We can’t have that. Whether you use google calendar, a Filofax, a store bought planner or anything else. Something to plan your days, weeks, and months is essential. If you aren’t someone who likes color or someone who works with color well then this isn’t required but I found that it helps a lot! I don’t write my notes in color, I just use a black pen or pencil so that I can highlight and not have the pen color interfere with the highlight color. However, in my planner I love color! I love being able to look at my calendar and see that there are four days with pink, 6 with light blue, 8 with light blue etc. I don’t have to read everything looking for right item. I also have a highlight color-code for my notes so if I’m trying to find something I can look for that color and find it quicker. Here’s my color-coding system. You can take mine, alter it change it, create your own if you want to. I know this is obvious, but I’m serious. It’s so important to go to class even those dreaded 8:00 AM classes. If you don’t go to class you might miss important information, hand-outs, notes, or even syllabi changes. Make sure you also pay attention in all your classes and take notes. Plus, once you skip class once for no reason, you will continue to skip class and then you will fail. So even on those cold, rainy mornings make sure you get up and go to class. In high school, the syllabi you receive aren’t as important as they are in college. In college these tell you the weight of your assignments, due dates, tests and exams, the reading schedule, textbooks and other books you may need, the teacher’s office hours and e-mail and basically everything you need to know for the class. As soon as you get them for all your classes, plan out your semester. Write all due dates and exams in your calendar so you can see how much time you have to prepare for all of them. But after you do this don’t just not look at the syllabus again for the rest of the semester, make sure you continue checking back on it to make sure you are on track and not forgetting anything. This helps to keep things organized so you don’t mix up notes and handouts from one class with another class. I will later put up a post about how I organize my notebooks and binders. But whichever method works for you, make sure you have one or a section designated to each class so that you can keep track of your notes and handouts. This can be difficult, with so much reading for college it’s difficult to do all the reading before class. But doing this is important, it gives you an overview of what will be said in class, you will already know what topics you understand and what topics you do not understand and you can be prepared to ask any questions you might have. I also like to take notes on the reading and then take class notes in class so that I can see what the teacher though was important and have to different ways the topic was said. While talking about notes, I like to re-write or re-type my class notes after class to fill in any empty spots and get it engrained in my head. I hope this helped! What kind of tips/tricks do you guys have to get good grades?